Eliminate glare, block UV, color balance and increase the visible light spectrum. Overlay panels increase the color rendering index of normal fluorescent lamps to 90. The fluorescent light filters block 100 percent of UVB rays and up to 99 percent of UVA radiation. 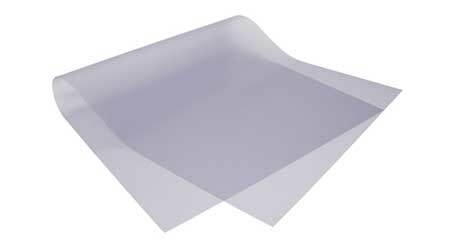 The thin, flexible acrylic plastic comes in 2’x 4’ sheets with a glare blocking finish to help alleviate eyestrain. Filters can be applied to parabolic louvres and existing prismatic panels.